It is important to get enough calcium because calcium is a mineral that keeps your bones strong. Your muscles and nerves also need calcium to work. 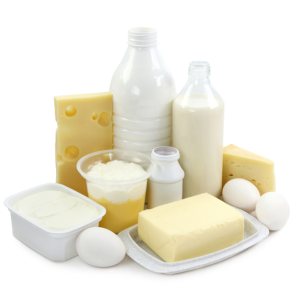 Take our quiz to see if you are getting enough calcium! 1. How often do you drink milk (dairy, soy, almond, or rice), eat cheese, have yogurt, or drink fruit juice with added calcium? 2. How often do you eat pudding, ice cream, or frozen yogurt? 3. How often do you eat cereal with added calcium? 4. How often do you eat grilled cheese, Mexican food, lasagna, or pizza? 5. How often do you eat almonds, dark leafy greens, tofu, crab, canned salmon, or sardines? Never or hardly ever. Tofu isn't for me. 6. How often do you take a calcium supplement?